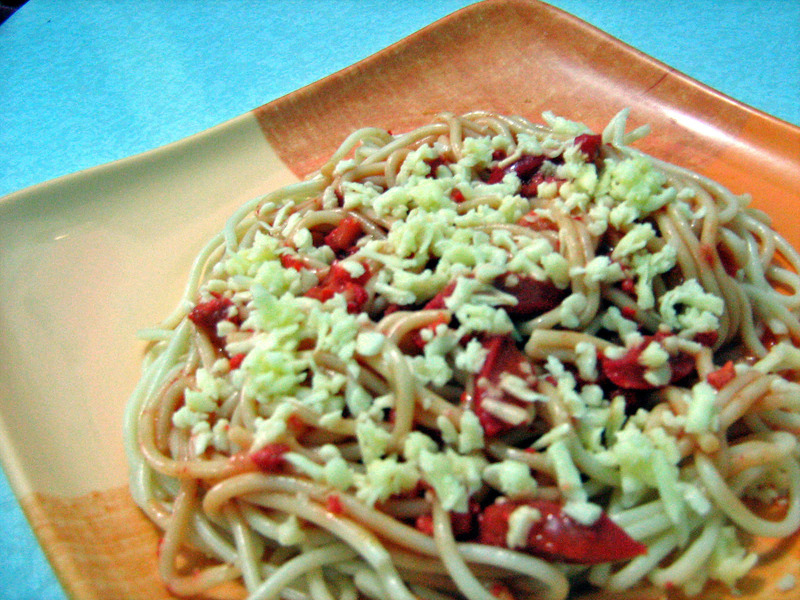 My sister, Jonelyn, prepared us this spaghetti as a merienda treat. Not so extravagant in ingredients but simply and easily done. By the way, I included the recipe for starters and who will cook spaghetti for the first time. Here’s what you need: 1 kg. spaghetti pasta, 1 kg. spaghetti sauce (filipino style), 1 kg. ground pork, 1/4 kg. hotdog, 3 onions, 1 clove garlic, vegetable oil, salt, cheddar cheese. Here’s how: First, boil pasta for 15 minutes then drain. Cook ground pork separately until it tenders while adding a small amount of salt to taste. For the sauce, saute’ garlic and onions in vegetable oil in a pan. Then, add up the cooked ground pork followed by the sliced hotdog. Mix well. Then, add the spaghetti sauce… mix well… and cook it for about ten minutes. Add salt according to your taste. 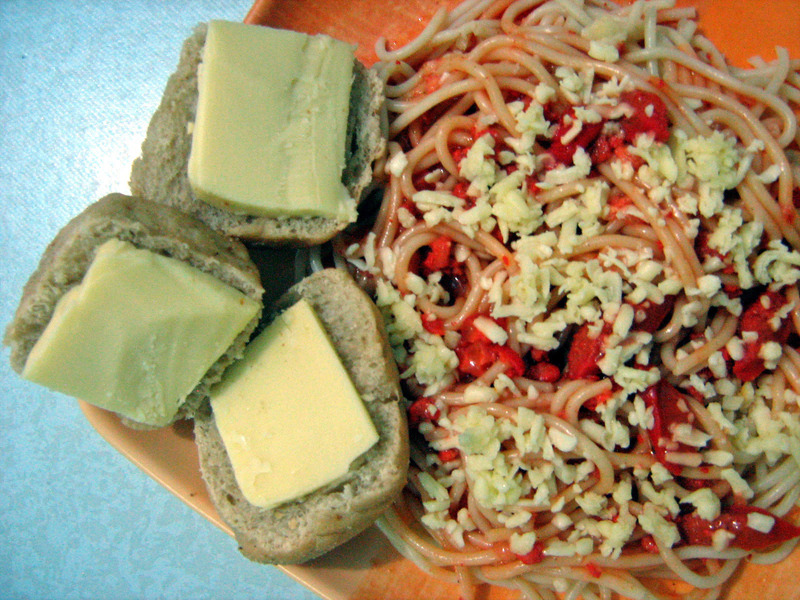 Last, put the pasta in a plate and top it with the sauce followed by the grated cheese. Serve hot. 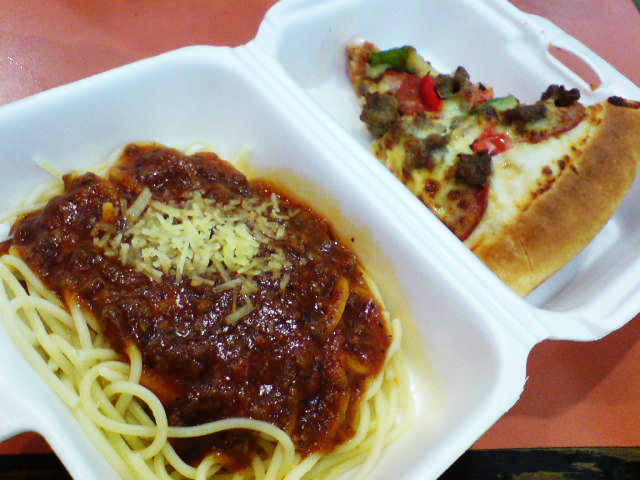 food moment: PASTA AND PIZZA!